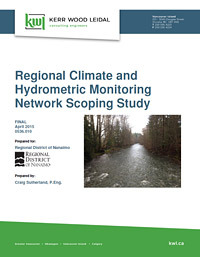 In 2015, the Regional Climate and Hydrometric Monitoring Network Scoping Study was completed to move forward with recommendations to identify and prioritize locations and potential partnerships to support additional climate and hydrometric (streamflow) stations within the region to improve the existing climate and hydrometric monitoring networks. To assess available water supplies for community planning; quantify surface water (flow & level) and ground water (recharge to ground). Other currently unknown future uses. These purposes serve the RDN directly but also other partners in the region, illustrating the benefit of collaboration. The list of priority data gaps (sites that need monitoring) that were identified in the 2015 report can be found here . 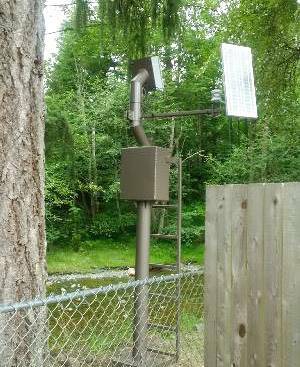 The climate and hydrometric monitoring sites referenced on this page complement two other existing networks the RDN DWWP oversees: The Community Watershed Monitoring Network for surface water quality and the Observation Well Network for groundwater levels. The RDN's Phase 1 Water Budget Study identified French Creek as a priority watershed for more data collection to enhance understanding of surface water and ground water interaction. It's an important fish bearing stream and in close proximity to developed aquifers that are important community water supply sources. Real-time data from the station can be found by clicking here. As Nanoose is another priority location for further water budget analysis, more data on upper elevation climate and precipitation was identified as a need to establish baseline conditions, and assess geospatial variability of climate data to refine water budget inputs. 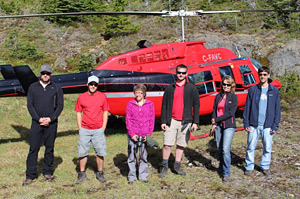 This station is at approximately 500m elevation close to the headwaters of Nanoose Creek, on Island Timberlands property. Streamflow in Nanoose Creek is another important measurement to help understand water dynamics and changing conditions in this priority area. This data will helpful to analyze in concert with groundwater level data from the underlying aquifer and with the precipitation data from the upper watershed. This is a fish bearing creek that has traditional significance to the Snaw-naw-as First Nation. Understanding the how the complex bedrock geology in the Yellowpoint-Cedar area stores and conveys water is another key focus for data collection. Two key lakes in this area, Quennell and Holden, were instrumented in 2017 with lake level loggers to track lake levels seasonally and over time. This will be useful to compare against nearby groundwater level monitoring data. 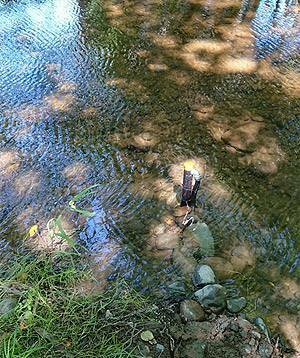 Another priority site for monitoring is Haslam Creek, in Area A, for streamflow and level. 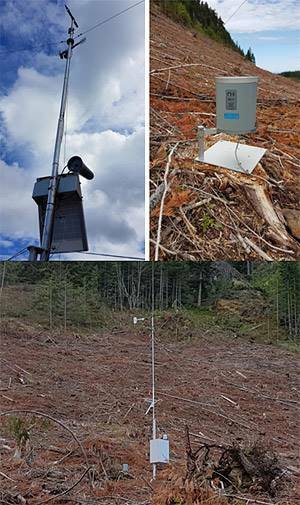 This will serve as a baseline station for southern RDN watersheds and will be coupled with local precipitation data from Nanaimo Airport and groundwater level data from Provincial Observation wells in that area. This priority data gap has been addressed through partnership with DFO, Ministry of Forests Lands Natural Resource Operations and the RDN DWWP program. Installation of the Arrowsmith station was completed in early November 2015, and final instrumentation of the station was completed in fall 2016 with the first winter of operation (2016-2017) being primarily for calibration.This is intended to be a long-term station to build the local dataset, and is incorporated into the provincial network of snow survey stations. [Click Here] to see the interactive graph.